I’LL BET THEY PAID DEARLY TO HAUL THOSE LARGE ROCKS IN. actualy I think God put them there and they built around it. Quite common in the “city” outskirts. Yes Jeff but look closely at the driveway. 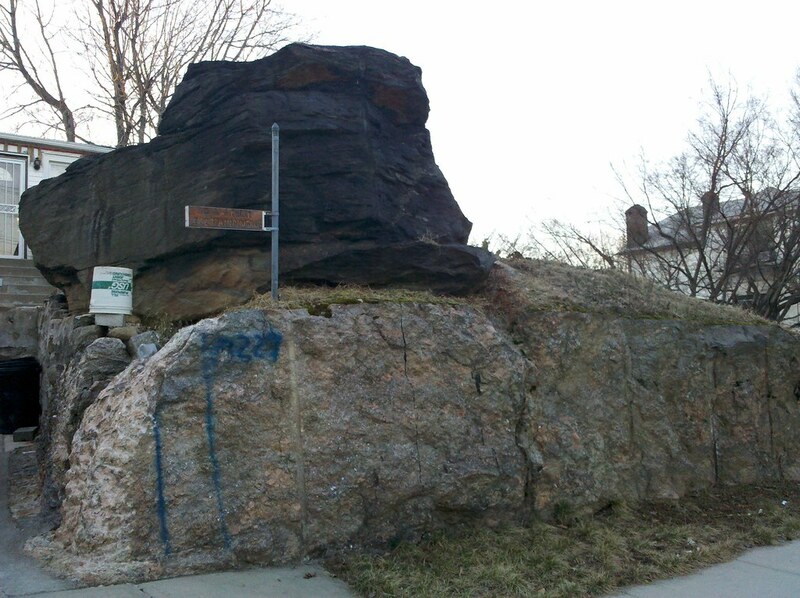 That part looks like it’s ON TOP OF the cement drive not around the boulder. What’s with the upside down bucket? IT’S A COVER FOR SMALLER ONE. looks a bit like a street sign.